Lecture to the KasikornBank Plc. The KasikornBank Plc. 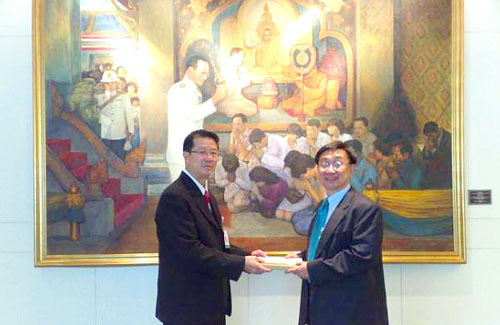 by Mr.Yuthchai Chusakpakdee, Senior Vice President and Mr.Peerawat Pakdee, VP. Credit and Collateral Control Department, Credit Management Group invited Dr.Sopon Pornchokchai, President, Agency for Real Estate Affairs to lecture about the latest real estate situation in Thailand for valuation and loan purposes to their executives at the Headquarters of the KasikornBank Plc. There were around 60 participants.